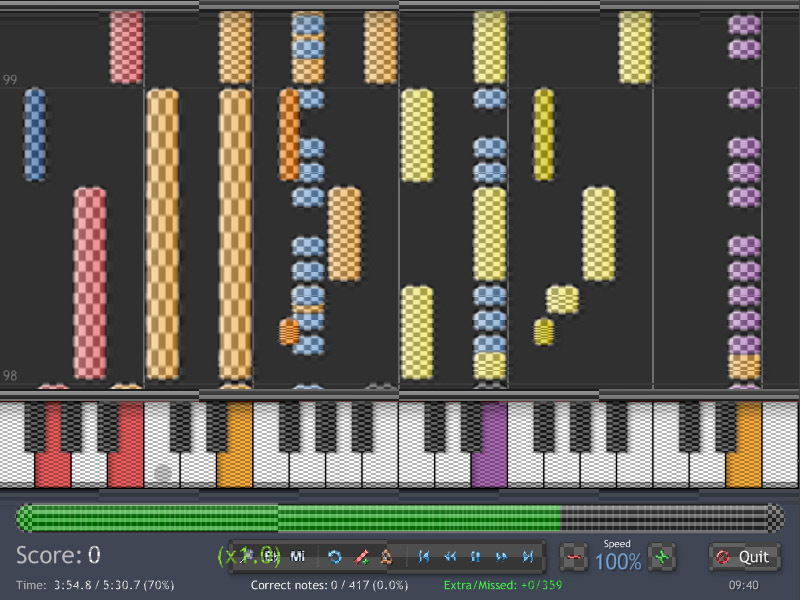 Following the "fun" I had extracting resources for Gramp, I thought I'll explore Synthesia.exe a bit further. 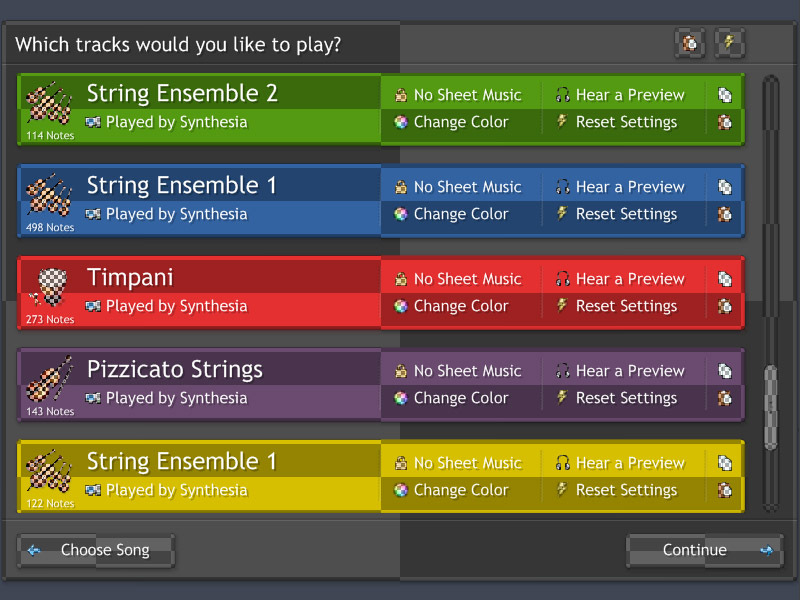 So here is a quick Skin editor for Synthesia! It relies on ResHacker, which (as the name says) is a tool to modify resources bundled in an executable file. 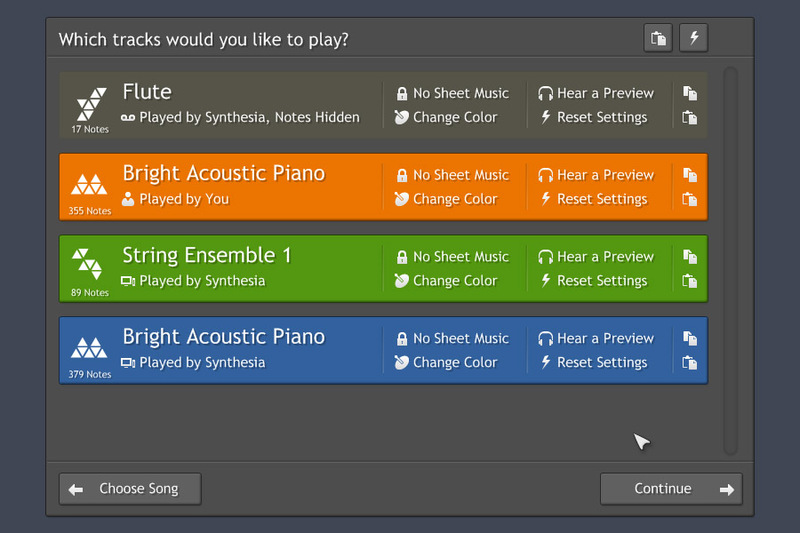 With ResHack you can modify the graphics included in Synthesia.exe, just open it and choose "Replace resource". Because you have to do it one by one for every single item (122 images in our case), I made a quick script that scans the content of a folder and send it to ResHack through command line. A skin should then be a folder including the modified graphics resources with their exact names. The original files are tga, but png, tif, and gif seem to work just as fine. I'm including a test skin inside the archive, so you can have all those names, and an idea of what can be tweaked for the moment. My test skin is an overlay of a black and white checker over the original icons. Try and drop the Test Skin folder into the box. As you can see there is a bunch of checker stuff there, but there is still a lot of things you cannot change, or that you can change in a limited way. For example have a look at the stretching happening on the notes before thinking about funky patterns covering them. Also you'll notice there is only one image for all the keys, so you won't be able to create effects like shadows or old dirty keys. to have a real personality for a skin. 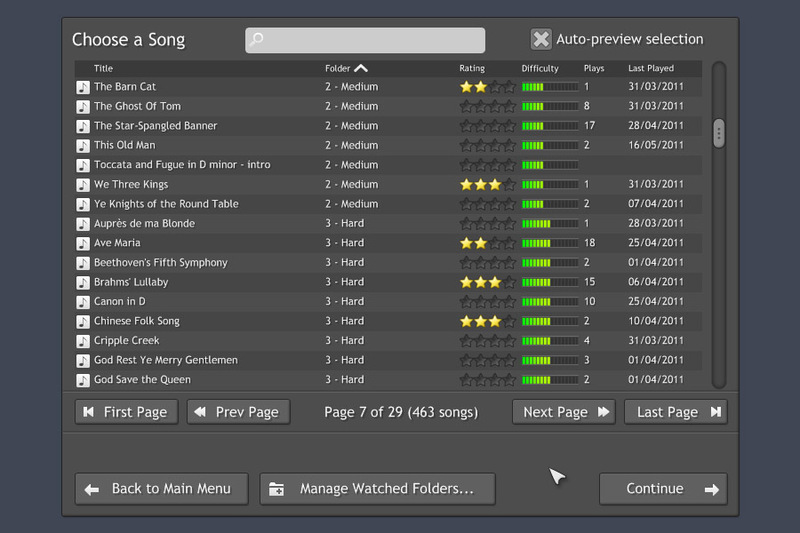 You may also vote for Display Style Editor at the features voting page. Here is the download below. You have to get ResHacker separately, as the guy doesn't authorize any distribution. 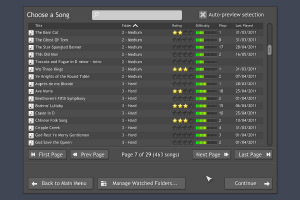 Once you have the skinbox folder, extract the files (directly, no subfolder) from ResHack to the corresponding folder. 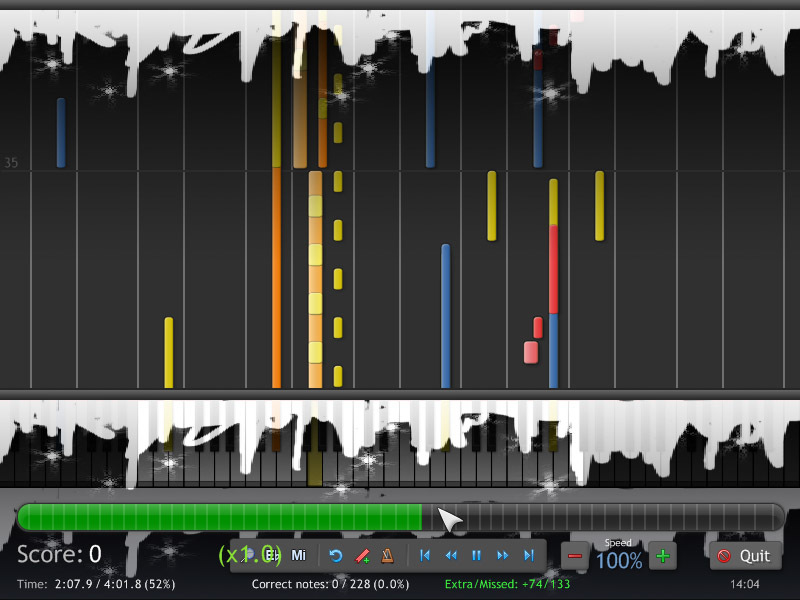 Last edited by Lemo on 06-22-11 12:24 am, edited 4 times in total. This is cool, and I encourage it. But, let me throw in a disclaimer that since skin support is totally unofficial right now, those resources (size, shapes, number, which ones are used for what) may change at a moment's notice. Lemo, you are on the top with your programs, good job. 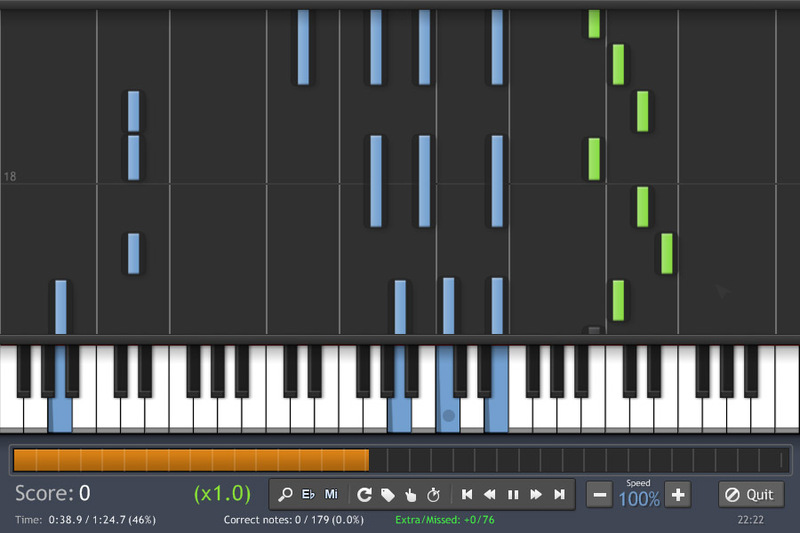 If this is completly capable, then this could be in a close version. Would the customization apply to all aspects of design except logo or only certian ones? 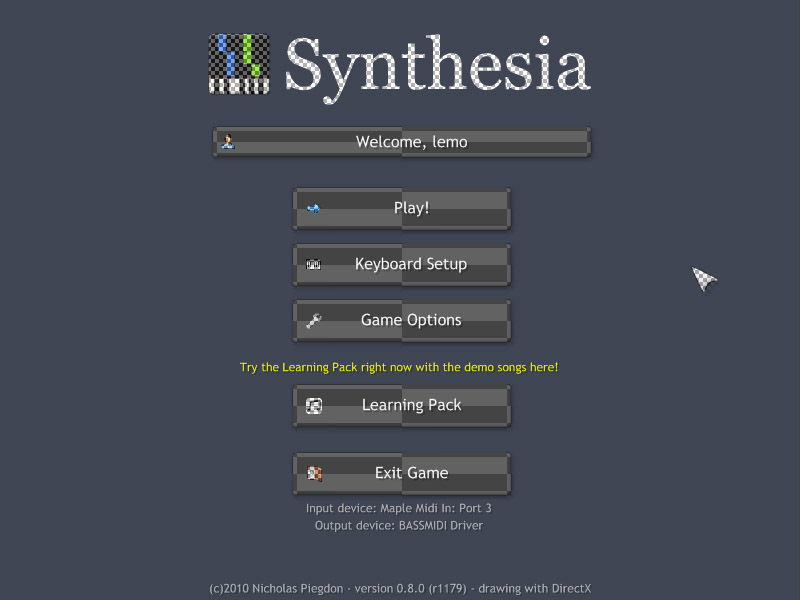 As the title says, this skin is mainly about trimming some of the round borders of Synthesia, to make it looks a bit less like a game and a bit more like a music program. Some of the changes are really subtle, some are not. 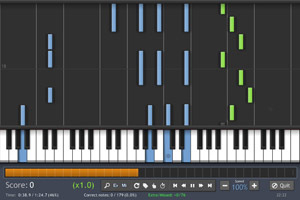 The folder contains 74 images (mostly new icons), while current version of Synthesia has 122. 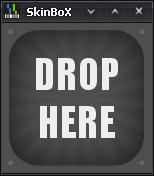 To get the skinned executable, download Skinbox above (and ResHack), drop the folder into the box and you're done! How do I reverse it to standard? It's a secret, so don't tell anyone, but that's the new official skin for 0.8.2.
i like the slim skin! 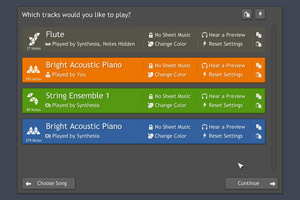 Did you install Synthesia in a custom location? So would it be a "no no" if we use icons from other places that give them out "freely" or found on google? Or if 'person' is to give them out to 'person 2' ? License permitting, you can use any icons you like. If it's public domain or something like Creative Commons, you should be all set. 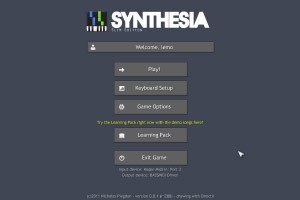 Thx for the v0.2 but unfortunately it asked me for location of synthesia and when i drop the skin folder it's say ok but i didn't see anything. 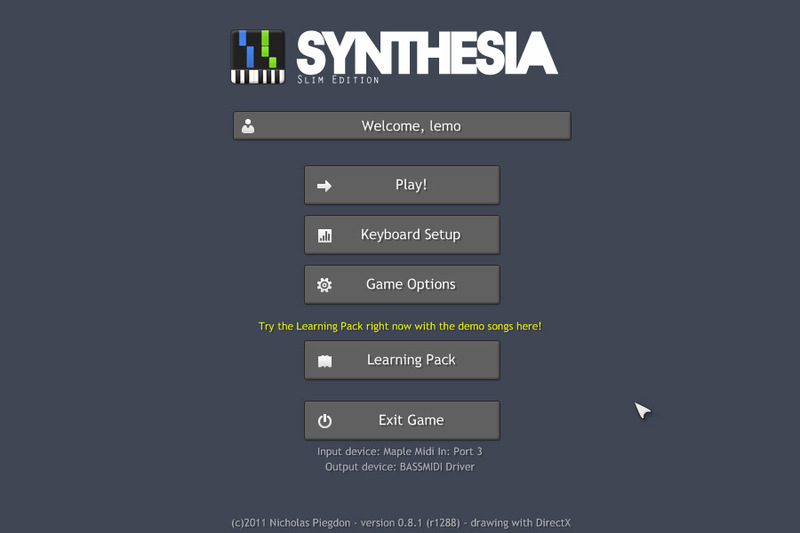 So i have installed Synthesia (previously i was using the standalone version) but now skinbox do not ask where Synthesia is installed even with a clean skin box unzipped. And falling notes are good! Without making your own personal skin there should be 3 different skins. The normal skin, test skin, and the slim edition.